For headache,or chills, fever,nasal obstruction due to wind-pathogen. Dispelling wind and relieving pain. 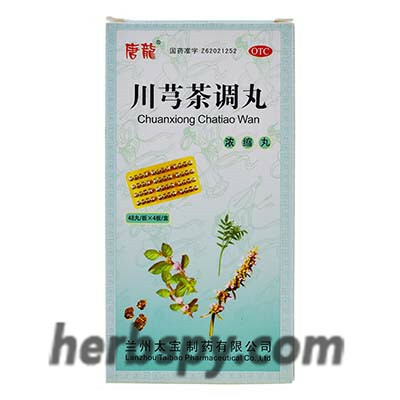 Szechwan Lovage Rhizome,Dahurian Angelica Root,Incised Notoptetygium Rhizome,Manchurian Wildginger,Divaricate Saposhnikovia Root,Fineleaf Schizonepeta Herb,Peppermint,Liquorice Root. This product is dark brown water pill; aromatic, spicy, sweet, slightly bitter. 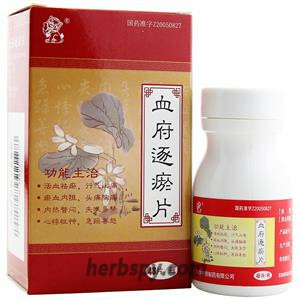 For oral use after meals with tea,8 pills thrice daily or by medical ordor. 2.Hypertensive headaches and unexplained headaches should go to the hospital. 3.Patients with diabetes, heart diseases, liver disease, kidney disease and other severe chronic diseases shall take medicine under guidance of physician. 4.Pregnant women with caution; children, lactation women,elderly ,feeble and weak patients should be taken under the guidance of physician. 5.In accordance with the usage and dosage,the product is not suitable fo long-term use. 6.Three days without any remission,or symptems aggravated,appeared new serious symptems, should go to hospital. Stage Food and Drug Administration Approval number:Z62021252.